Hike up Bunker Hill for spectacular 360 degree views! The hike up Bunker Hill (or Hill 400) is a moderate climb along a WWII- era gravel road and is approx. 1 mile with a 400 ft rise. The route passes prehistoric sites as well as numerous WWII ruins, and has the potential for viewing of marine life and bald eagles. 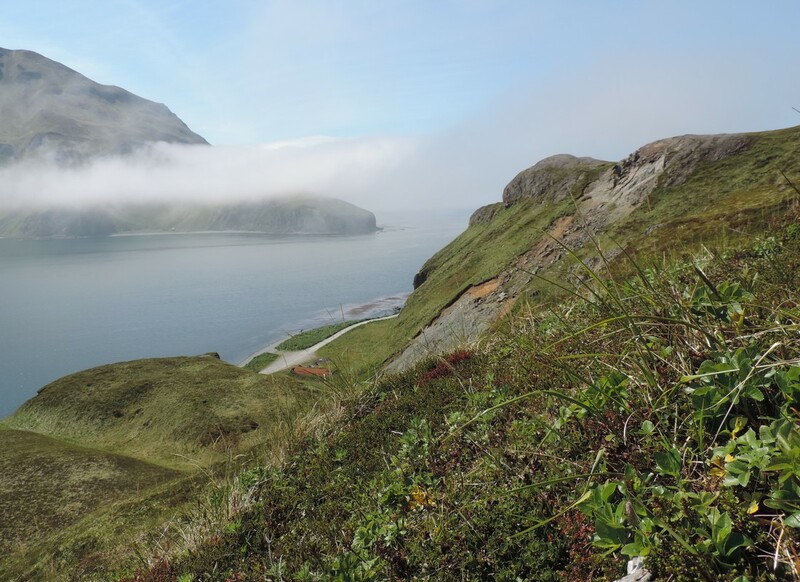 There are several beautiful vistas along the hike with views of the Dutch Harbor and Captains Bay areas. 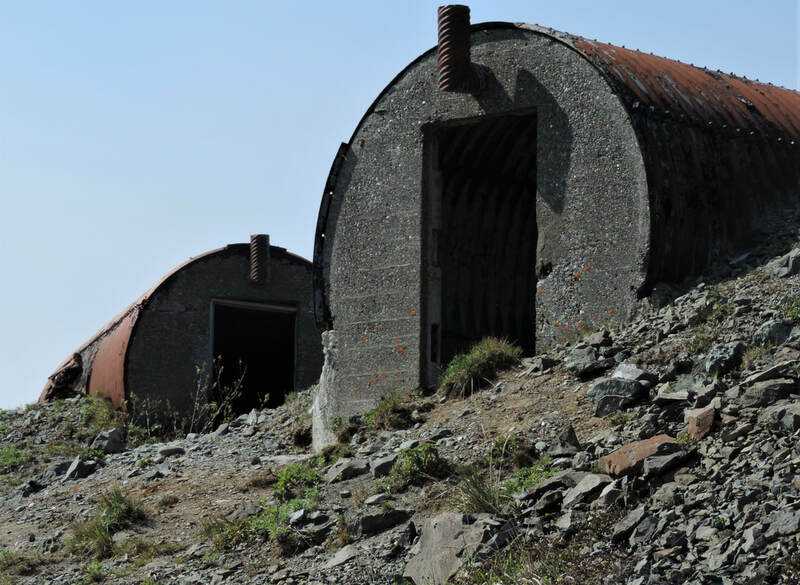 On the top of the hill is a large concrete bunker, the remains of a battery command station from WWII, along with remains of four circular Panama mounts for 155mm guns. 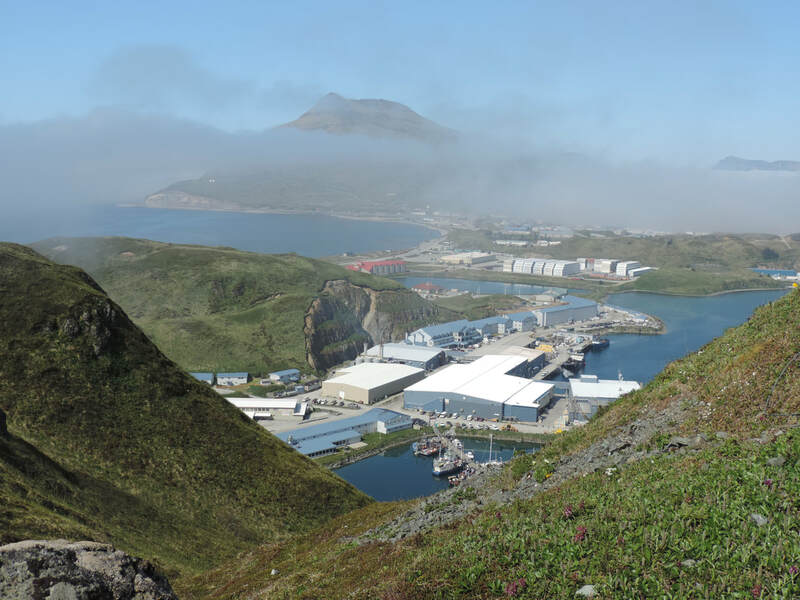 The Unalaska/Port of Dutch Harbor Convention & Visitors Bureau, in conjunction with the Museum of the Aleutians, is now offering a two-hour guided hike up Bunker Hill for cruise ship passengers and visitors. The guide will provide information on prehistory, history, and flora and fauna of the area. The hike will take two hours round trip from the bus stop at the bottom of the hill, with several rest stops at viewpoints. A minimum of 5 and a maximum of 20 guests can be accommodated per hike. $10 per person. If you are interested in this option, please contact Ann at 907-359-2613. Note: This hike is weather-dependent and will be canceled if the weather is inclement. We will not cancel however if there is only light rain but good visibility. Guests are asked to wear sturdy footwear and bring raingear. Photos courtesy of Melia Knecht. 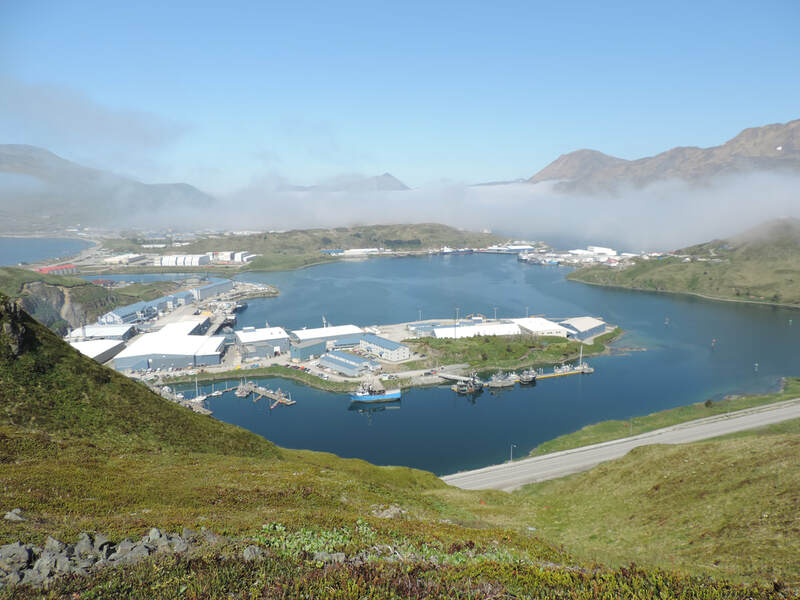 ​or stopping by their office near the Museum of the Aleutians. Summer (April - Sept.) M-F: 9 a.m. -5 p.m.
M-F: 11 a.m. - 5 p.m.